Welcome to the latest Encore Group learning video for construction project management. 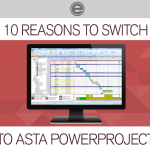 In this short video your host John Jackson, a Primavera P6 user for over 25 years, will share with you just ten of the many reasons he decided to make the switch to Asta Powerproject. 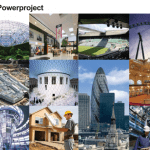 With Powerproject Enterprise, local and server licence options are available with fully collaborative access to a shared database of project data. This provides all users with shared real-time access to projects, sharing of project resources, integration with other business critical systems and visibility of all projects.